I am looking at moving out from my parent’s house and want to buy my first flat. 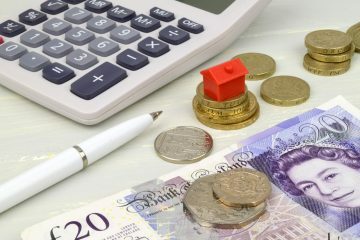 I have heard the term “Mortgage in Principle” being spoken about by estate agents and online .. What is a “Mortgage in Principle” and what does it actually mean? A Mortgage in Principle is an indication of how much a lender is prepared to lend you and on what terms, to the named borrowers subject to approval of the property, but also taking into consideration your affordability. Your Mortgage Adviser will workout your affordability by carrying out a Mortgage Market Review with you. The lender will take into account your income (earnings, wages, savings ,dividends, interest), they will also then look at your outgoings (rent, loans, credit cards) and expenditure. With these figures, your affordability will be calculated. Your Address History – Your previous addresses going back for the last 3 – 5 years. Your Expenses – If you have loans and credit cards or ongoing monthly payments, how much do you spend on each one? How often are the payments? Do you have statements for these accounts? Once you have these, you will be able to enter your details into online mortgage calculators, but you can also provide these details to your mortgage broker or financial adviser, quickly and easily. It will help you get organised and start to think ahead for the actual mortgage application and gaining a confirmed mortgage offer and approval, later on in the buying process. Along with your Mortgage in Principle, your mortgage company or proposed lender will provide a summary of the mortgage agreement, called the Key Facts Illustration showing the total cost of the mortgage, the interest rate, whether there are any penalties for early repayment and any other special conditions. Just a note … Your lender will need to do a full credit check on you. As each check leaves a “footprint” on your credit file, it’s best not to do too many as it can hurt your credit rating. How do you the first time buyer benefit from having a Mortgage in Principle? Many first time buyers end up being disappointed because they left sorting out their mortgage too late. They didn’t have a lender in the wings and they didn’t understand their affordability. If you find your property and you make an offer without a mortgage in principle then clearly the seller is less likely to take you seriously. They will go with an offer where the buyer clearly indicates that they have a lender in plaace and that the offer price is within their purchase budget. 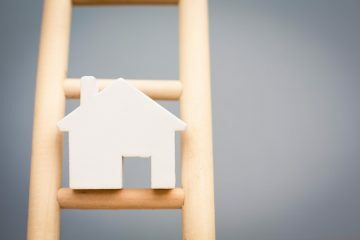 When you get your Mortgage in Principle you have made a giant leap to becoming a homebuyer – You will feel good – Walk tall ! A Mortgage in Principle literally sets the home buyer journey with all of the key property industry professionals. You have done your homework, considered the best buy mortgage rates with your mortgage adviser and have the knowledge and understanding on what you can afford, who will lend you the money and what maximum house purchase price you can offer up to.